Bella Vista is so large that it can be overwhelming when looking at property here. 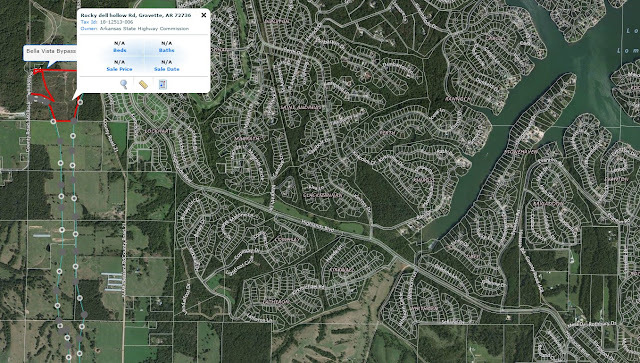 We have nearly 40,000 residential lots spread out over 311 subdivisions that take up over 60 square miles. So, more than most areas, Bella Vista is especially difficult when searching for vacant lots and land. Don't be afraid to make lower offer : Many buyers that I have worked with over the years are afraid of insulting owners when determining initial offering price. My advice is to go ahead and be brave and make that half-price offer and see what happens. Don't settle on a so-so area so quickly: Keep looking-- trust me, there is a perfect area for you. Don't want so many neighbors? Don't like so much slope? Want a different school district? Wish you could avoid the cluster of school/work traffic on CR-40? Well, those lots are out there so keep going. Make sure that you get the Lot and Block and Parcel numbers correct. Bella Vista is super confusing on their vacant lot descriptions -- there are no numbers on the lots, our HOA/POA uses their own, different numbering system, the county uses Parcel numbers, and the real estate agents use MLS numbers. Make your offer subject to soil test : IF you are not in one of the blessed areas that happen to be on city central sewer, then please, please tell your agent that you need the offer to be contingent on the vacant lot passing the soil test. In my opinion, it's well worth the $400 to $500 investment for the soil test to make sure that the $4000 to $10,000 purchase is legit. Make your offer subject to a basic survey : Vacant Bella Vista lots are not marked in any way, so just be to sure, you might think about spending a couple hundred dollars to have a surveyor find and flag the edge pins of the lot so you (and your soil test person!) can see where the lot is. What a beautiful addition to Bella Vista : 'The Back 40' bike trails. I have already received dozens of call from people wanting to build on or own vacant lots that are bordering or near the Bella Vista Bike Trails. 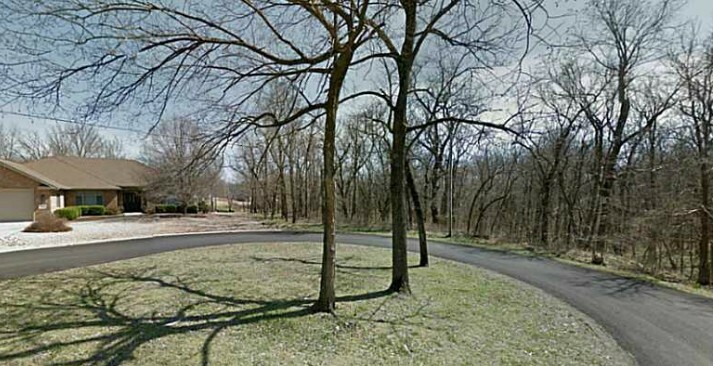 If you have interest in seeing about purchasing a vacant lot near the Bella Vista Bike Trails then please let me know. I would be happy to research and call the owners, or see about any listings that I currently have that would match. 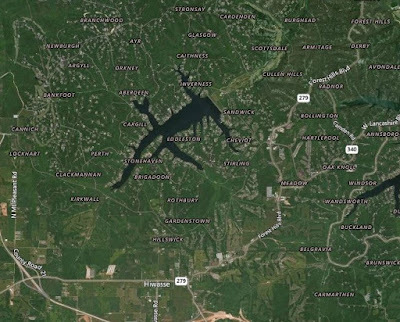 Bella Vista, AR: A new highway bypass has been under construction for years around the entire western section of Bella Vista, Arkansas. This section is located west of Highway 49 (71), and includes the far west area known as The Highlands. In my experience, it has been more difficult to sell a lot located in The Highlands. Out of our 7000 lot transactions, I would say that less than 5% have been for land located in The Highlands area. School district and access to Bentonville & Rogers have been the main reason people have preferred other areas. I feel that changing. Now, with this new highway nearing completion, I feel that the Highlands area will come into demand for vacant Bella Vista lots. 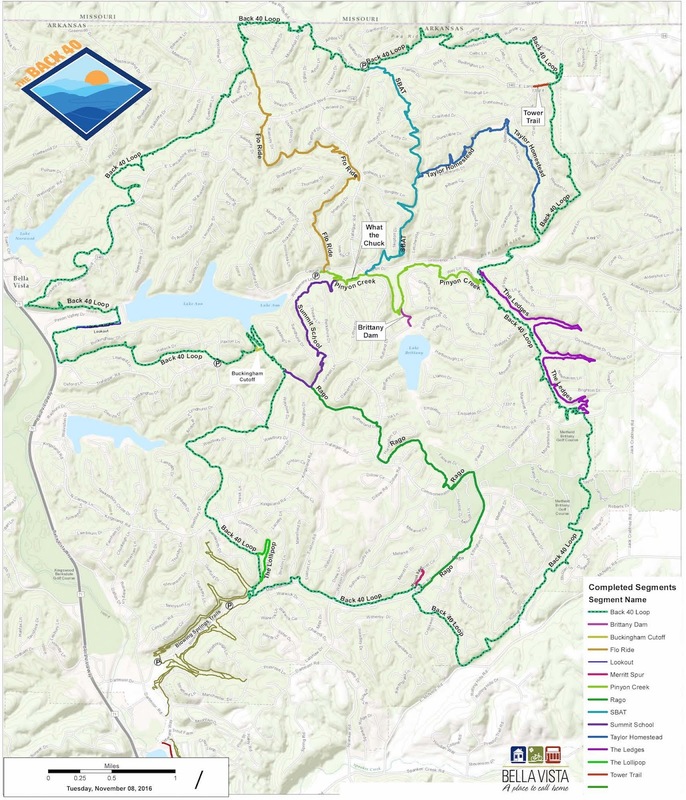 The highway will tie into key areas of Bella Vista, granting real access to once cut off areas. Bella Vista uses a unique number code to identify each subdivision. If you currently own property here then you may have noticed this number code on your POA statements over the years. Each number listed on your lot description represents either the lot, block, or this subdivision number. Usually, the first number or set of digits represents the subdivision, such as 006-xxxxxxxx or 028-xxxxxxxx etc. If you are unsure of which lot you own but you have the POA statement that you receive for your dues, then feel free to use this reference sheet to identify the lot. 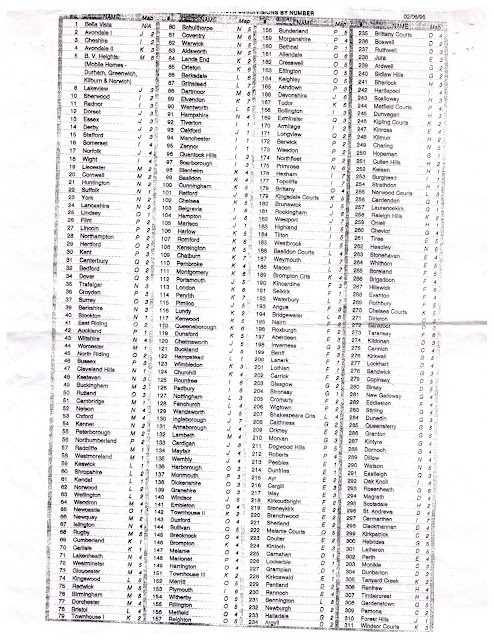 Look at the first digits on your POA card or invoice for dues and match it with the corresponding subdivision below. It is a bit difficult to read, so click on it and zoom in. Click the picture of this sheet I scanned in and it should open in a new browser tab, then click it again in that tab to zoom in. Also, you can hold the control key on your keyboard and press the + or - on your keyboard to zoom in and out. Or, if this sheet appears large enough in your browser, use the scroll bars at side and bottom to manipulate. Sorry, it's a bit wonky but it's the best I could scan in. 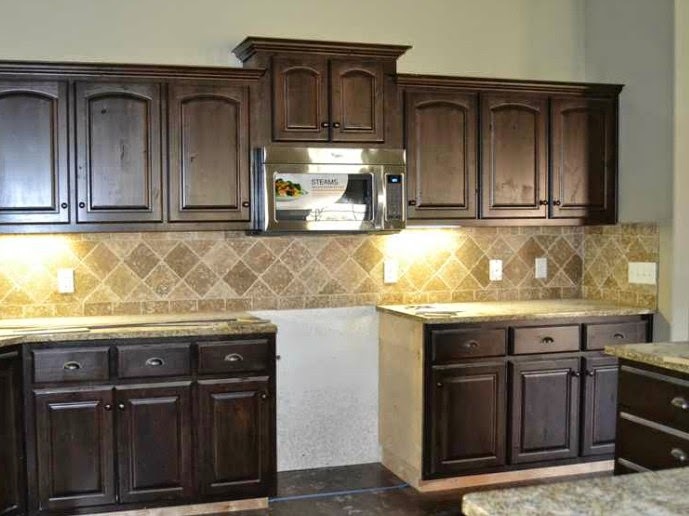 Need a builder for your Bella Vista new house? I work with three builders in-house and a handful of builders outside our company that I trust. I have seen their work, their diligence, and their follow up on the warranty over the sixteen years that I've been doing this, and that is how I judge their dependability. Usually we try to identify what you want in the house, in the land, and in the neighborhood first. 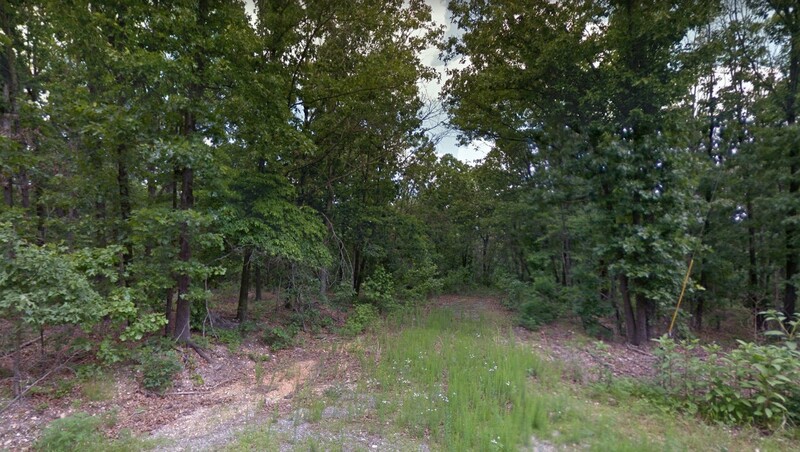 I can come up with some possible lot selections if you do not already own one, or we can sell your current lot and find a more desirable area for you. Many changes have happened in the Bella Vista building market, including having sewer installed in many new areas, roads paved, highway access being introduced to some new areas, etc. It's paramount that you are satisfied with the area first, then the lot, then the house. Access to roads, restaurants, schools, places of work and the like are key factors when considering building new construction in Bella Vista. We have three school districts here, multiple access points, and some pockets of newly paved and/or sewer-installed pockets. There are 311 subdivisions spread out across almost 60 square miles, and comprised of almost 40,000 lots. So, choosing a preferred location should be fun. Contact me to learn more or get referred to one of the builders that I trust. 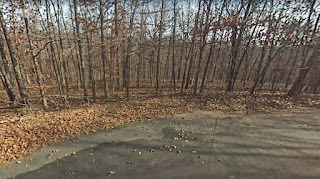 Check out my new site to search all homes and land in Northwest Arkansas free of charge. Has maps, pictures, details, saved searches, etc. So by now I feel that everybody has heard about the upcoming bypass highway. Construction has been underway for quite some time planning was underway for even longer. But finally things look like they're coming toward success. I really feel that this impacts a lot of us who are lots in the highlands area of Bellavista especially those on the southern side. I think with this new access it'll make lots more desirable in that area. I know that in my 15 years of experience one of the major drawbacks of owning land on the western side of Bella Vista is a lack of access. This new bypass hopefully will solve that problem. Not only that but I think that the congestion is so terribly bad now at 8 AM and 5 PM that this highway is going to be A blessing for the area. This is great news for those lot owners who have had their property for twenty or thirty years and have not either used it or been able to sell it. And for those already living in the Highlands, who have to drive so far and long distances for simple groceries or medical care. Areas that were for years considered segmented off from the rest of civilization will now come into play, and I am excited about getting these wonderful lots exposed to the market. So many lots down in the southern parts of the Highlands are extremely nice, including hundreds and hundreds of flat lots - an unusual specimen for Bella Vista. We have an owner willing to sell 100 Bella Vista Building lots (not membership lots) in one package at a great discount. Lots can be used to build on, as an investment, or as a collateral. 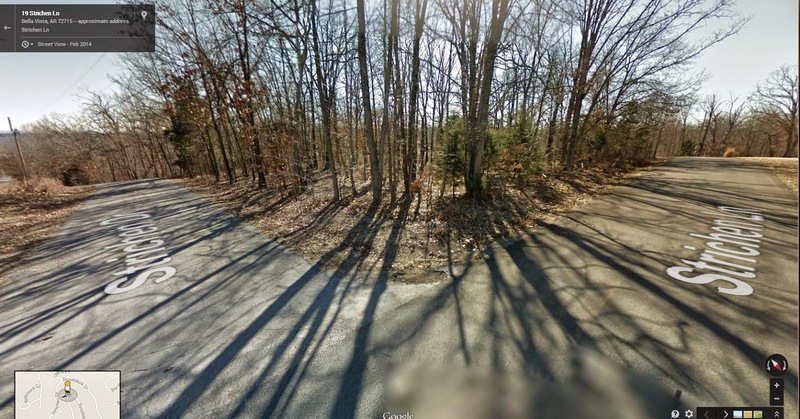 These lots are spread out throughout Bella Vista and are various shapes and sizes. Houses can be built on the lots to live in or to sell as a spec home. Contact me for more information. Bella Vista, Arkansas homes for sale: Bella Vista AR is home to many different building and living styles, all the way from small vacation style homes with carports and that are part of a planned community, similar to a retirement village, to the fully detached residential style neighborhoods, which include nicer homes that are all built with a touch of class. 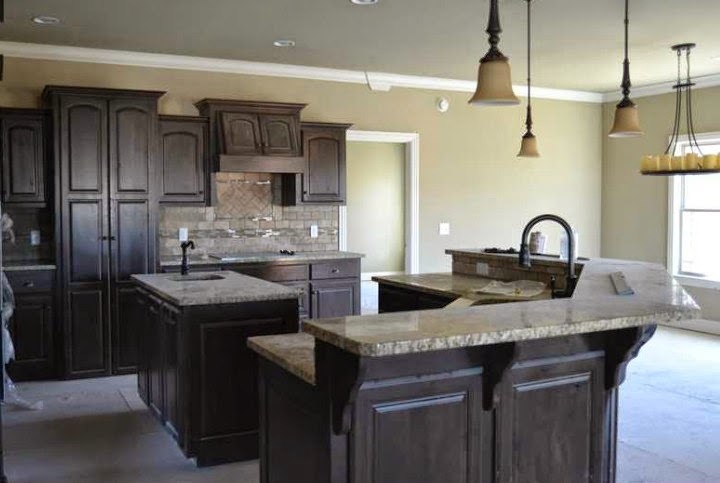 Bella Vista home requirements mandate that there be no overly bright colors, and that each house must contain natural materials and colors, such as brick and stone or wood. 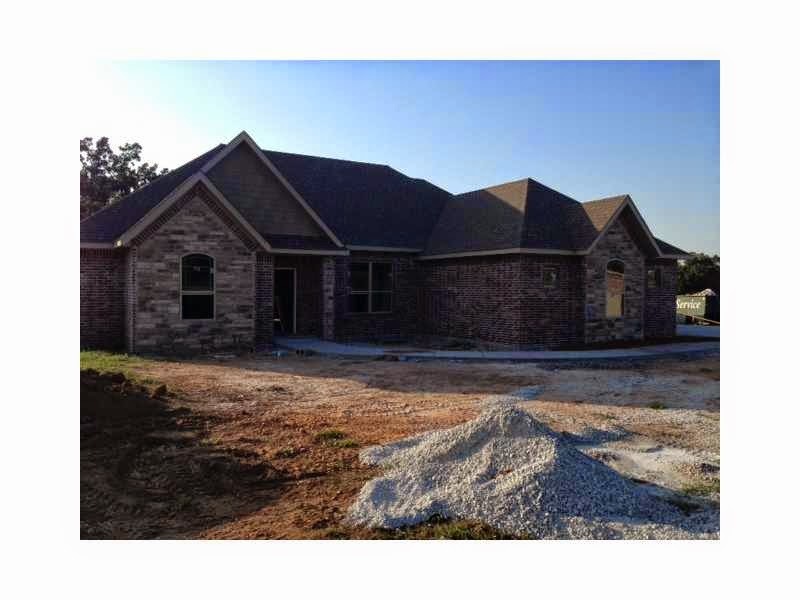 You won't find modular housing or metal roofed houses mixed in with the homes for sale in Bella Vista AR. Bella Vista is also home to many new families that are moving to the area, many of which are relocating to our quiet little town because of Wal-Mart headquarters being located four minutes from us in Bentonville, Arkansas, or perhaps one of the other major employers such as Tyson Chicken, Inc or JB Hunt Trucking and etc. Another feature of northwest Arkansas real estate that tends to attract home buyers is that most everything here is recently built and well kept. Search our Bella Vista and other local area homes for sale and please feel free to contact me with any questions or concerns. Bentonville AR homes for sale Rogers AR homes sale Bentonville AR foreclosures Rogers AR foreclosures Bella Vista AR foreclosures Bentonville AR short sales Rogers AR short sales Bella Vista short sales Set up MLS Email Alerts FREE Northwest Arkansas real estate for sale, including property and homes for sale in Bentonville, Rogers, Bella Vista, Gravette, Pea Ridge, Cave Springs, Lowell, Little Flock and all surrounding areas. Fayetteville and Springdale areas too. 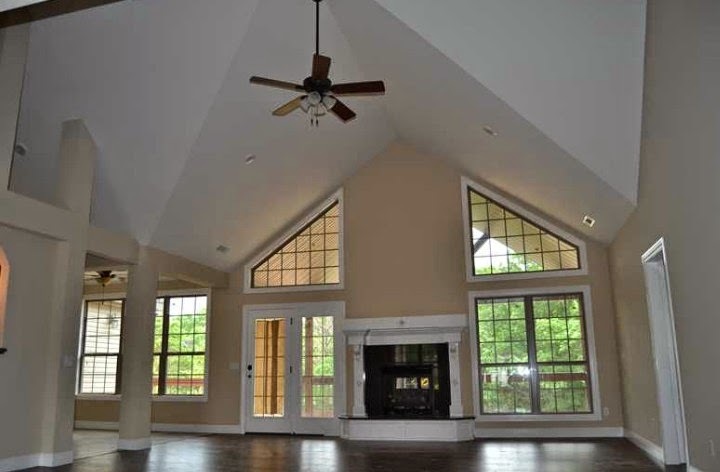 Use my site's home search to find exactly what you are looking for in our NWA area. 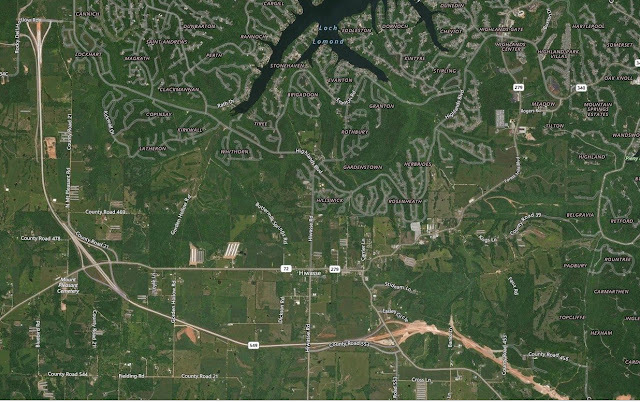 Northwest Arkansas real estate for sale, including property and homes for sale in Bentonville, Rogers, Bella Vista, Gravette, Pea Ridge, Cave Springs, Lowell, Little Flock and all surrounding areas. Fayetteville and Springdale areas too. 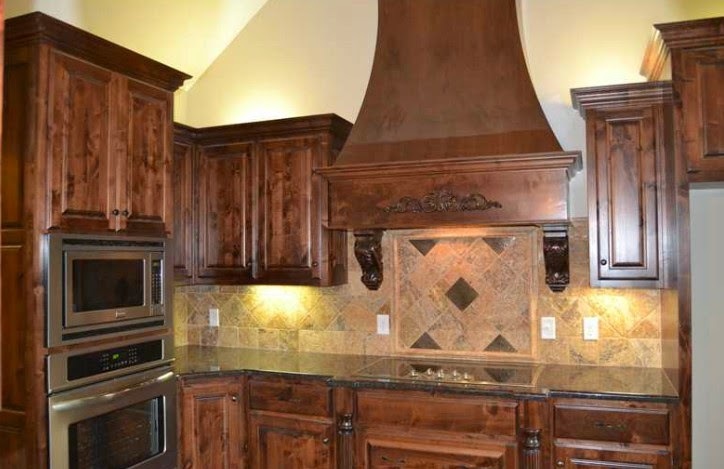 Use my site's home search to find exactly what you are looking for in our NWA area. Please consider signing up for the northwest Arkansas property listing alerts, which allows you to receive email updates of new listings as they come onto the market so that you don't have to constantly check the local NWA Multiple Listing Service or all the other sites. Whenever you sign up, you will receive all the MLS detail and data for each listing, including photographs, virtual tours, utility information and other details. Northwest Arkansas real estate varies from town to town, so be sure to check out your school district preference and the busing zones if you have children that will be attending our NWA schools. The real estate market here is wide open right now; there are lot of good home buys and I expect those to continue. We are a great community to live in and we are consistently voted as one of the top places to live in the nation. You will find that NW Arkansas offers a very low crime rate, four equal seasons of weather, and an abundance of things to do. We are renowned for our yearly craft fairs and we are even home to Wal-Mart and several other major companies and vendors, so jobs are plentiful. Several homes and other properties, such as townhomes and commercial properties are bank owned so you may be able to get one of those good deals. 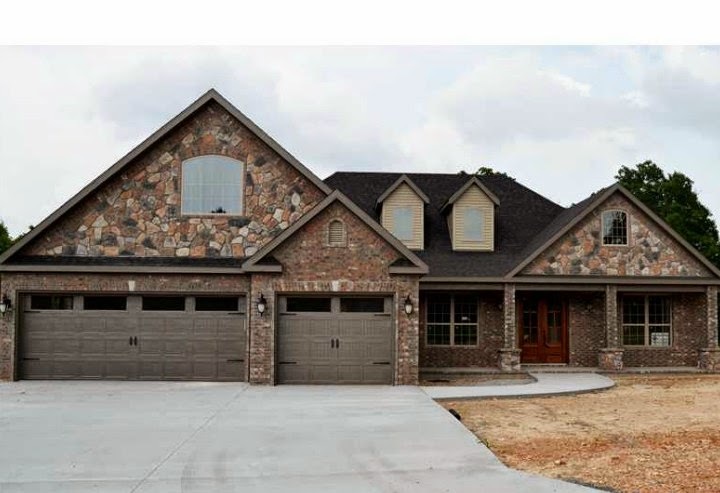 The MLS listings that you search for on my page include those Arkansas bank owned and foreclosure homes in the search results so you can be assured that you are seeing everything that we NWA real estate agents are seeing. We also have the ability to run a custom search that prints out only the bank owned homes and property listings, so be sure to contact me if you would like this done for you. I am a real estate agent in Arkansas with SYNERGY Realty. I never charge up front fees for my services whether that be for listing or selling property. There are many great Realtors here in our area and we all work together to ensure that the property that you are listing or buying is taken care of in a professional manner. Whether you are looking for Rogers homes for sale, Bentonville homes for sale, Bella Vista homes for sale, Gravette homes for sale, Fayetteville homes for sale, Springdale homes for sale, Cave Springs homes for sale, Pea Ridge homes for sale or any area in between you can use this site to do your searches and you can contact me with any questions. SYNERGY Realty is your prime source for current market listings and even bank owned, short sales and northwest Arkansas free foreclosure listings. Update: Northwest Arkansas short sales, including Bella Vista short sales, Bentonville short sales, Rogers short sales, Centerton short sales: Our agents have done short sales! If you are either wanting to explore the idea of a short sale or perhaps are an investor looking to purchase a short sale property, please contact me. For those of you looking for an Arkansas BPO real estate agent please call Mike Carey at 479-644-4109. Our office performed over 200 broker price opinions in Northwest Arkansas last year and we hope that you will consider using us for all your land and home BPO's. I have been a full time and active real estate agent / Realtor in Northwest Arkansas since 1999. I pride myself on being honest and open minded with my clients as everyone has different needs and I understand that each person's property is extremely important to them. 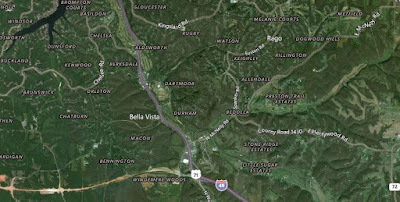 Below you can find some useful info and phone numbers for local Northwest Arkansas properties : Community Information: Bella Vista Homes For Sale : UPDATE: For some great information on Bella Vista Properties for sale you can visit my site that has many helpful articles and lots of free advice for buying Bella Vista Land. 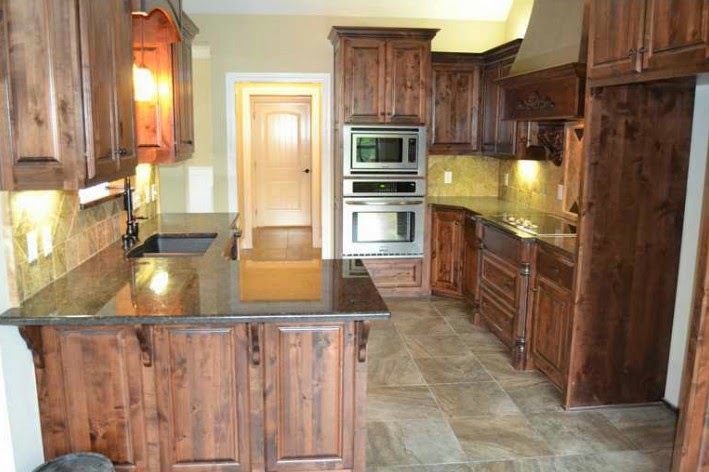 You can also search the NW Arkansas MLS and search homes. I have all 310 Bella Vista subdivision plat maps in my office and all the Bella Vista LOT owners' names, so feel free to contact me regarding Bella Vista vacant building lots or membership lots. Bella Vista has many good deal right now, especially with our vacant building lots being priced so reasonably. If you are searching for a Bella Vista house, please be sure to use my MLS House Search so that you can be sure you have narrowed your search down to exactly what you need, including size of home, number of bedrooms, whether the house is on sewer or septic, the school district that you want to be in, and the fees associated with owning a Bella Vista house. Bella Vista is a resort like community that offers it's land and homes owners membership to all of it's outstanding amenities, including seven well groomed golf courses and seven lakes. Bella Vista Lakes from largest to smallest: Loch Lomond Lake Windsor Lake Ann Lake Avalon Lake Rayburn Lake Brittany Lake Bella Vista The Bella Vista golf courses: Highlands Golf Links Branchwood Scottdale The Country Club Kingswood Berdsdale Brittany Metfield (aka: Dogwood Hills) For more detailed information on each golf course, or to set up tee times or get the most up to date fee schedule, you can visit the POA. 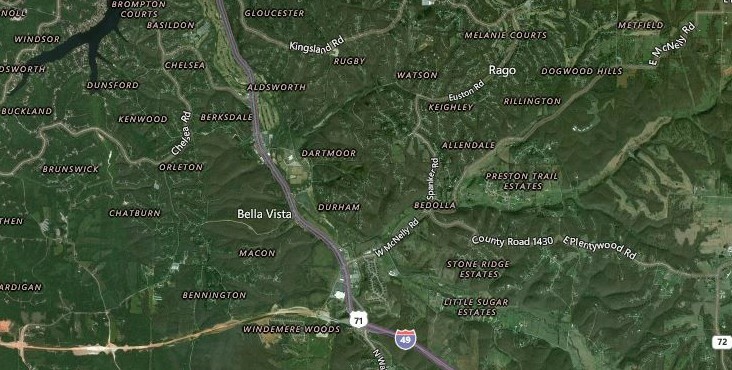 Homes in Bella Vista are relatively new because the community was not developed until the 1960's; and the entire western side of the village, known as "The Highlands" was not developed until the 1980's. Many of the original houses in Bella Vista were constructed as simple vacation stops to be used only periodically, and this is why when you drive through some of the original areas, you will see most homes have only a carport are are quite small by today's standards. 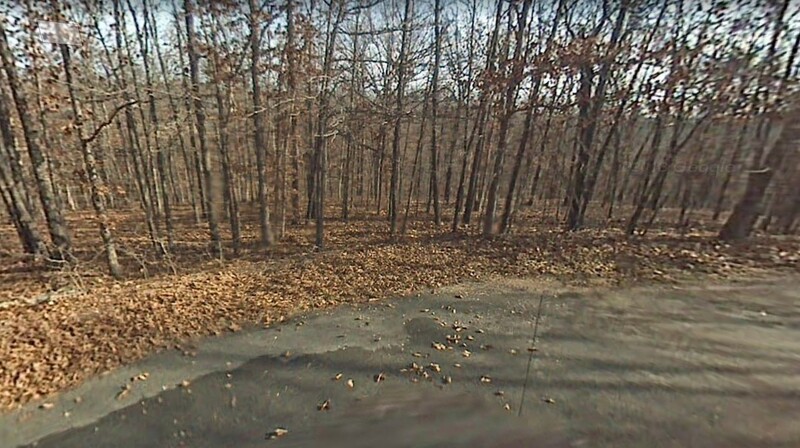 Bella Vista Land for Sale : Vacant residential Bella Vista lots start at as little as $2500 per lot and go up to over $100,000 for building lots on the lake shore, but most normal residential lots in Bella Vista can be purchased for under $10,000 right now, averaging around $5500 for building lots. Level lots are a bit tougher to find but still can be had. You will probably be overwhelmed by the sheer number of vacant lots available in Bella Vista, but with the proper search criteria then we can find you a great match for what you want. The residential land parcels here vary so much here that you will want to, you will need to narrow your search down considerably in order to find the one that is right for you. Things that you may consider are school district, location, your intended size of home, whether you would like homes around you, septic or sewer, basement or single level, etc. Contact Synergy Realty because it is the leader in vacant Bella Vista lots (we have over 400 lots to choose from) so feel free to ask any questions regarding Bella Vista real estate. 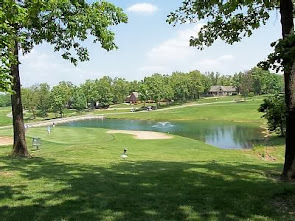 Many people just want to buy a Bella Vista membership lot, which is basically a token lot (as cheap as possible) that allows the owner to get membership rates on all our golf courses and lake and other activities. 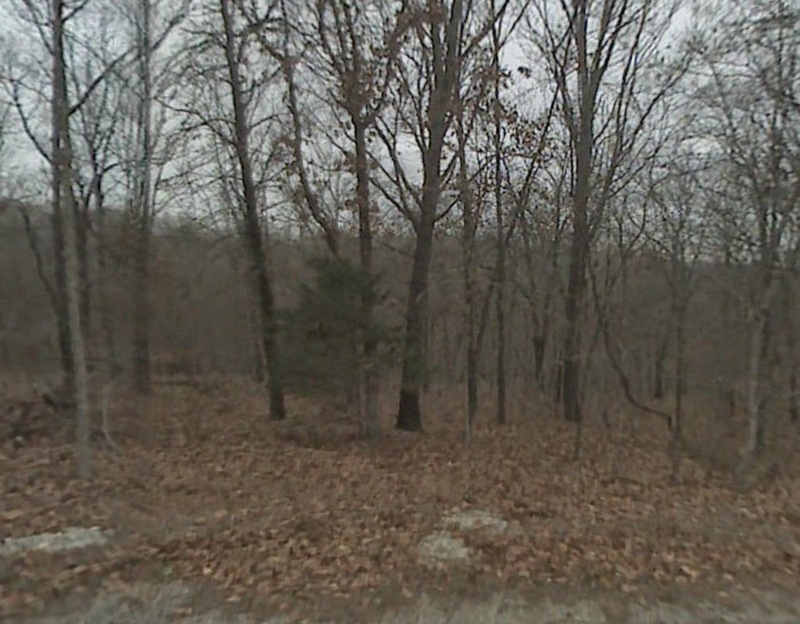 These membership type lots are typically located in remote areas or they have a severe amount of slope or both. 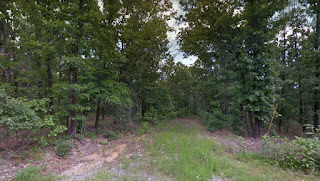 See our blog on Bella Vista land for sale for more info. 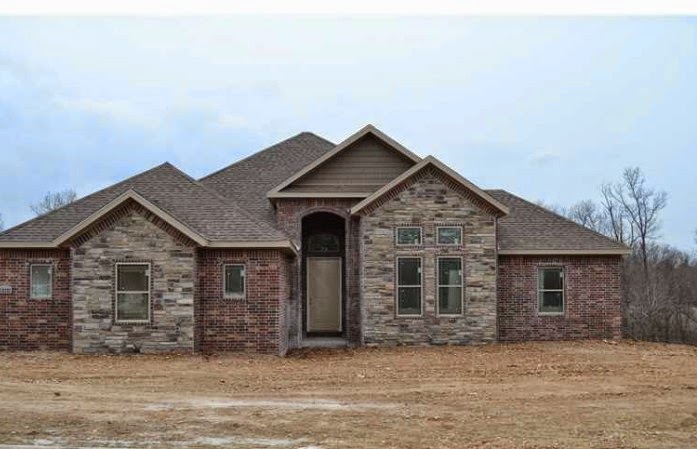 Bentonville Arkansas Homes for Sale Bentonville, Arkansas is a great place to live due to it's location and people. It is the home office of the worlds largest retailer: Wal-Mart. Bentonville homes offer a wide variety of style from which to choose, including many historic homes that run alongside our Bentonville Square, as well as modern homes that have been more recently built. 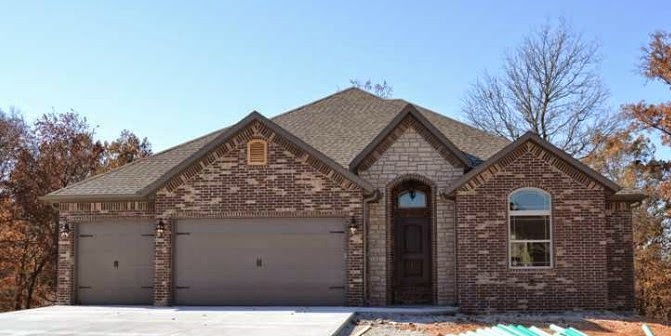 Bentonville houses for sale can also be found in subdivisions, and in almost every price range. Many Bentonville subdivisions now offer community pools and some are gated for security. Bentonville has plenty of shopping and things to do, it is a sister city to both Rogers and Bella Vista and so offers the best of both places: the golf and fishing of Bella Vista and the shopping and restaurants of Rogers. If you are searching the MLS for Bentonville homes, then please keep in mind that there are many different schools zones that are dictated by where the house is located. Also, decide how much traffic you are willing to put up with in during the rush hours before selecting your ideal location. Contact me and I can give you more details on each Bentonville subdivision. Rogers Homes for Sale Rogers Arkansas offers home shoppers the unique blend of historic homes and brand new contemporary living. Rogers has many newer areas, including the new outdoor mall plaza called the Promenade located in Pinnacle Hills. 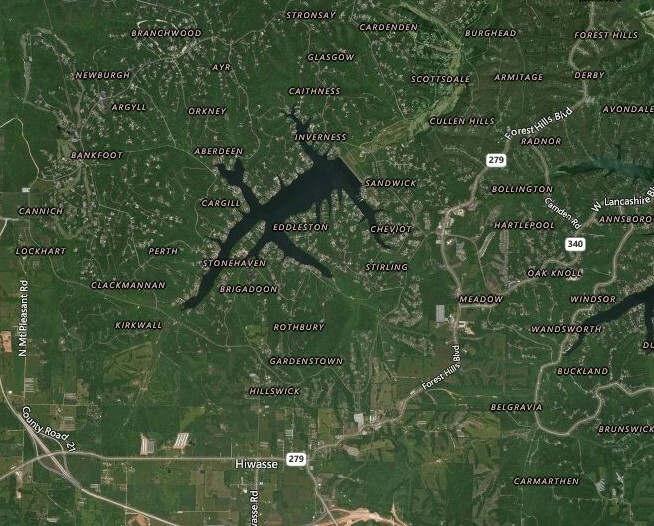 You won't believe all the new homes for all price ranges, and you will never run out of places to eat or things to do here, whether you are an antiquer and want to enjoy our War Eagle Mill or if you are a sportsman and would like to go check out Beaver Lake State Park. 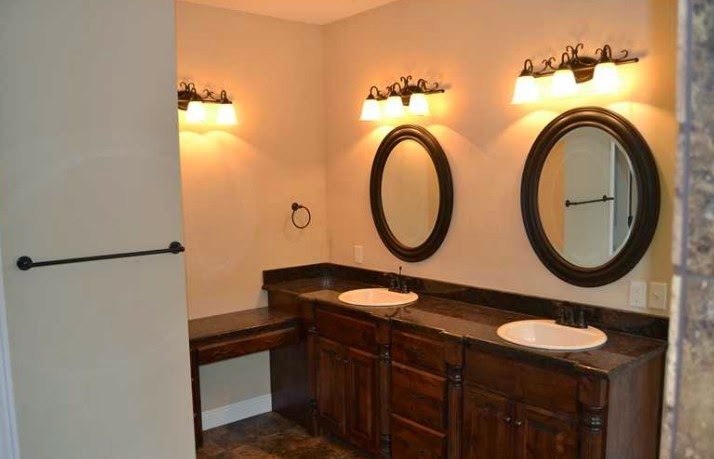 Most everything in the new part of Rogers, including the homes and restaurants, are very well kept and brand new. Road work and improvements are constantly being done so that the area remains capable of supporting it's newfound popularity. If you are moving to NW Arkansas and you enjoy being where the center of the action is but you don't want all the traffic and crowds that are indicative of Fayetteville's Dixon Street, then Rogers, Arkansas may be the perfect spot for you. Rogers' restaurants and shopping are a miniature version of Kansas City's renowned 'Plaza' area. Contact us for more information or feel free to use our community page to check it out. In order to figure out more about the lot you own and it's location, you have to have either the number of the subdivision or the name of the subdivision. The property owner's association here in Bella Vista uses a number chart to identify each of the 311 subdivisions in the village. You can find the number of your subdivision simply by looking at the card that the POA sends you annually, or by looking at your bill from them. Try to locate your Bella Vista membership card that the POA issues to each landowner. If you cannot find it, then just look at your bill from them and you will see a code that identifies your lot. Each code is comprised of three numbers which are separated by dashes (usually). In this example, the '26' is the identification for the subdivision number. The second number, the '02' is the block number. The third number '017' is the lot number. The 26th subdivision is Flint, so in our example the lot identification would be Lot 17, block 2 of the Flint subdivision. Note : please do not confuse this number with the county identification, which is a parcel number starting with '16' and ending in three zeros, such as 16-12345-000. 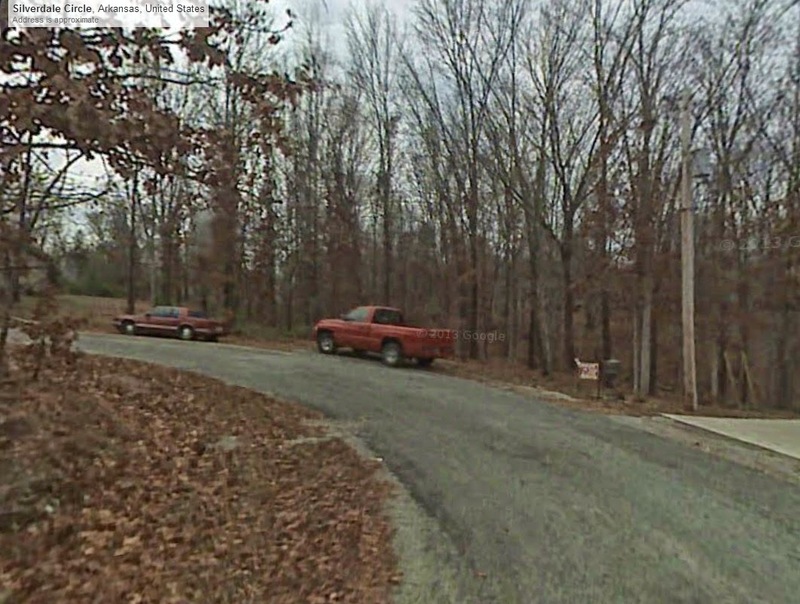 This is lot 12, block 3 of the Cargill subdivision. Feel free to contact me with questions or if you wish to buy or sell a Bella Vista lot.